Meetme App had good performance with their last update on iOS and got a lot of supporting message from users on feedback pages. If you want to chat with your friends only, MeetMe app will be a wrong choice for you, since it’s a dating chat platform. We recommend you to use this application if you would like to meet new people whole around the world with text chat. Unfortunately this service doesn’t support video messaging, video & voice calls. However it’s still perfect choice to meet people from whole around the world. MeetMe App is one of the best mobile dating chat app for iOS at the moment. The application doesn’t require their users to pay for any feature. You will able to use it freely and you won’t need a premium or VIP account. Generally dating applications requiring their users to pay for access other profiles or send messages. MeetMe Chat app won’t ask you for any cash. There are just a few things which you can buy on the application but you won’t need them at all. The application is also available for Android too. Free installation and free sign up. 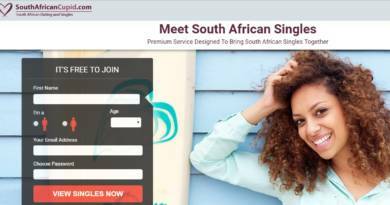 Registration is required but the process will be quite quick when you compare it with other dating apps. You can filter genders and find the best match for yourself. Play some dating games and answer some questions on the site which will help you to have fun. Share pictures and emotions while you are chatting with someone. Share pictures on your profile. Comment pictures and like pictures. These are nagtive specs of the app. Users are generally complaining about advertisement style of the website and application. There’s no moderation process when people upload pictures. Sometimes you will able to see unwanted stuffs. Unfortunately there are many annoying ads on the app. Some features are just local.